Offering a comprehensive, up-to-date examination of the complex web of wars and proxy wars, revolutions and counter-revolutions that are ripping the Middle East apart, this book puts these events in their historical context and leads readers through the labyrinth that is the new Middle East. This book seeks answers to pressing, contentious questions. Why are there so many hereditary heads of state in the Middle East when the Prophet Muhammad did not appoint a successor? Why do Western countries claim to want democracy in the Middle East, yet support dictators? Why did Israel become a democracy while the Arab states did not? Why are there so many wars in the Middle East? And, most importantly, what happened to the hope and optimism of the Arab Spring? M.E. McMillan offers fresh answers to these difficult questions. 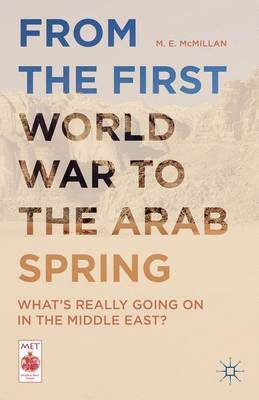 Firmly grounded in historical research and insightful analysis of current events, this book gives readers a new understanding of what's really going on in the Middle East.